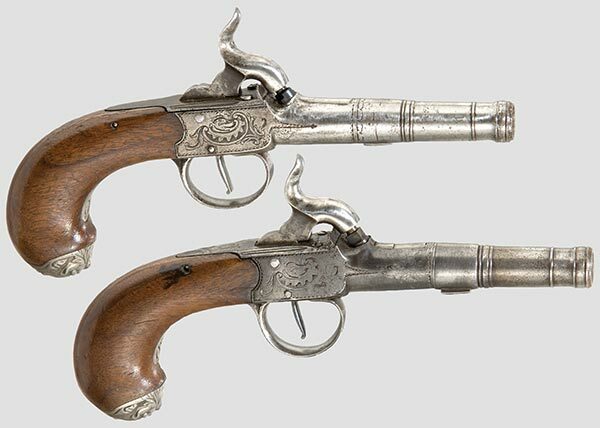 Pair of pistols with percussion of Brueton, Birmingham, end 18th. The barrels can be unscrewed and are of gauge 11 mm. 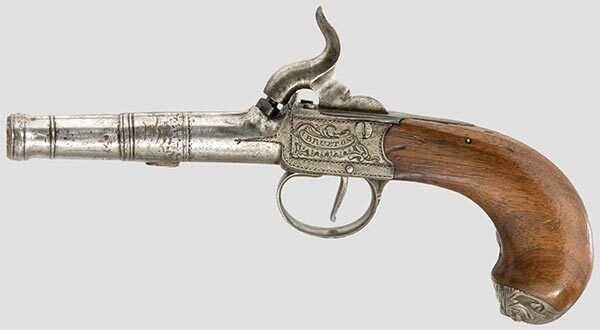 “BRUETON” is engraved on the breech having of the central hammers. The sticks are out of wood of drowning with silver caps.